Harrison Plaza in the heart of Malate! Harrison Plaza paints a nostalgic picture of the original Manila mallers. With the “mallrat generation” sprouting alongside establishments and commercial spaces everywhere, even mall goers have joined in to the fickle world of consumerism - the latest it shopping centers being the hang out hub for lazy Sunday strollers and savvy bargain scourers alike. Malls today have come a long way from being your friendly neighborhood grocery store to being a one-stop shopping, dining and nightspot complex, containing various stores, businesses, restaurants and activity centers. Always targeting the spending market, a viable proximity to major transportation routes is also its developers’ keen business point in mind. 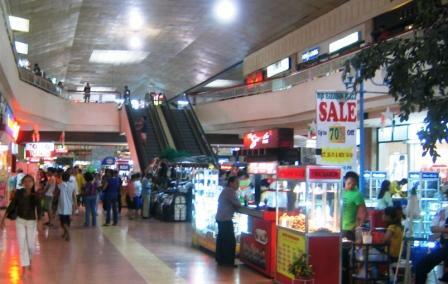 Having first opened its doors in 1976, Harrison Plaza is the Philippine’s first shopping mall. It temporarily closed for renovation between 1982 and 1984, reopening with both Filipino-Chinese owners and housing rival major department stores under its roof, both Shoe Mart (SM) and the upscale Rustan’s (operated by Marks and Spencer) – still two of the country’s long-running and leading shopping centers to date. “Harrison,” as the locals have truncated, has been the first to add that rare feature for most consumerist malls of today. What sort of shops are in the Harrison Plaza? Comprising of over 180 stores and service outlets, it now hosts of over 50 specialty shops, boutiques, and eateries, four movie houses, and one supermarket. It covers 75,000 square meters in the southern part of Metro Manila, Harrison Plaza is not hard to find. Harrison Plaza is close to Metro Manila’s railroad transit LRT, you can also go down at Vito Cruz and hail one of the many passing taxis or if you are feeling adventurous a jeepney to get you there. Or if you would like to stroll around and breathe some city air on the way, Harrison Plaza is not that far from most of the Hotels in Malate. If you are just visiting the country, Harrison Plaza is neatly tucked in Manila’s tourist belt, lying close to hotels and city landmarks for excellent convenience. Beside it is the Sheraton Hotel and in between its streets is the still roaring Malate, one of the metro’s major nightlife breathers. This mall has come a long way, you can now find an interesting mix of foreign blood and Filipino locals leisurely walking the mall hallways. The Harrison Plaza provides me with many memories, recently I decided to catch a flick in one of their cinema's and as the movie credits started to roll by, it vividly reminded me of those Disney film-filled days, where I was seated deeply in my seat, watching in awe as Simba and Nala fought for their kingdom, or of Pocahontas waving goodbye to Captain Cook on that melancholy mountain creek. For a moment there, it did feel like being back to those old Sunday family days again. Truly, old Harrison Plaza has that occasional stir of yester-Manila memory. 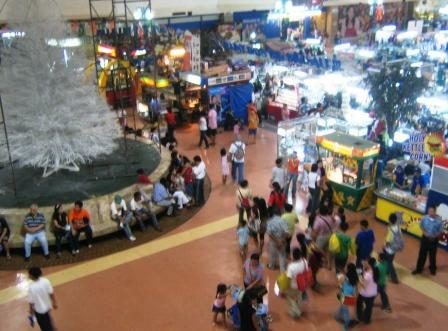 Have a look here for what the other Shopping Malls in Manila have to offer. Once in Manila you have to decide where to stay. Have a look here for some of my reviews and recommendations on where to stay in Manila.